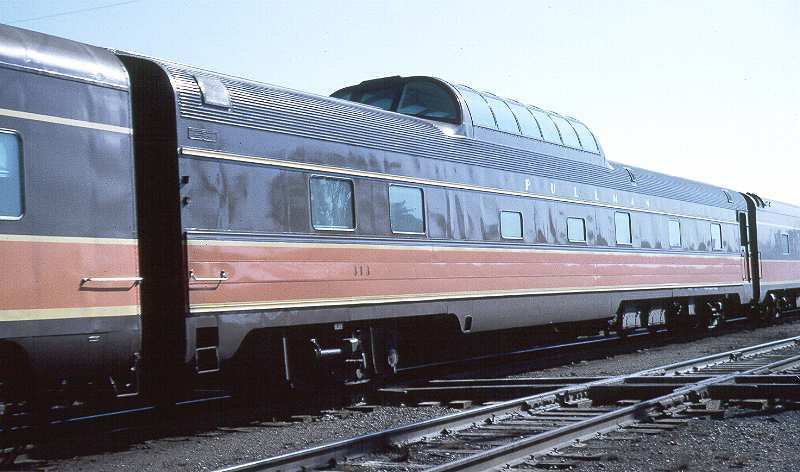 Built in July of 1954 by the Budd Company of Philadelphia, PA, dome/sleeper #313 was one of seven identical cars built for the Northern Pacific. It was painted for leasing to Illinois Central between 1965 and 1967. The car was transferred Burlington Northern in 1970 and was intended to become BN #1443. However, the number was never applied, as the car was transferred to Amtrak #9214 in 1971. In January of 1993, the car was purchased by Inland Pacific Rail in Spokane, WA and became #313 Yellowstone Park. It was purchased by Webb Rail in 2018 and is currently awaiting restoration in New Orleans, LA.